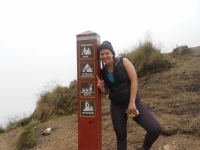 The 4 day Inca Trail with Inca Trail Reservations was excellent value for money ! Carlos our tour guide was excellent in his spoken English and was extremely knowledgeable throughout out tour. The porters and especially the cook excelled themselves, keeping us very well fed. I was a bit nervous before going on the trail about its level of toughness. In the end it was well doable even though not easy, but we were also rather lucky with the weather. 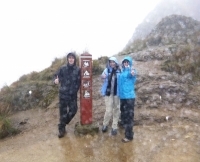 I spent 4 great days on the Inca Trail and can absolutely recommend it. 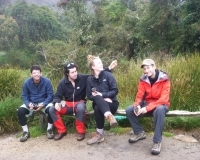 Funny guide Lizandro, friendly and porters, excellent food and great nature. All in all it was an unforgettable experience ! We had a small group of six people from Europe and South America and a lot of fun ! The weather was quiet good for this time of the year (March) with rain at night and sunny days. I really appreciated the whole trail. Especially the warm and welcoming atmosphere Lizandro was creating. 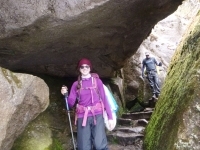 We had lots of fun without being on a rush - even the porters were great and I really hope they enjoyed it too. Organization couldn't have been better. Guidance and coordination of the trip was very well done. Being 65 and attempting the climbed at the altitudes we were at was too optimistic. 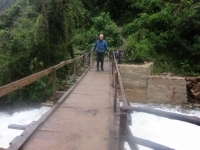 By the time I struggled into Aguas Calientes, I care very little about seeing Machu Picchu. I only recommend this for people who are in very good physical shape. This was a great experience throughout. The professionalism and quality was beyond expectation. It was very difficult for me at 65 years of age. My guide, Carlos was very helpful and was able to get me a horse for a portion of the way, however, at 6' 4", I looked like Don Quixote on his horse. 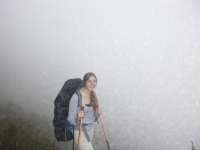 This four day hike was what I expected and more. Being from Colorado in the US, I've grown up hiking my whole life. This was a totally different experience. Tons of vegetation, amazing views, and hard work for an amazing payoff. A fantastic experience that we will remember forever. Lots of hard work but lots of rewards. We had a great group of only six people and had a lot of fun along the way. Coca tea in the morning, popcorn for happy hour each day, even a cake to celebrate on the last night ! 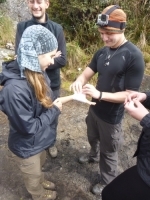 Day of the Inca Trail ! 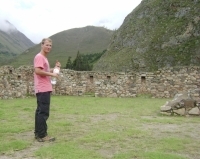 I have dreamed for many years to come to the Inca Trail after my father had done the same trek a few years ago. I am traveling alone and every new experience can always go either good or bad which can very often depend on the people you spend the trip with. 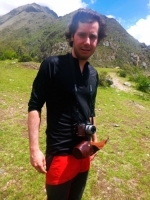 I meet to real nature and kindly people, culture and Inca's history. 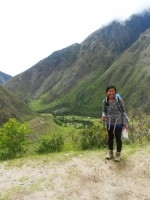 I wanted to walk the Inca Trail and my dream is realized. I wish to come back with my friend and family. just do it. 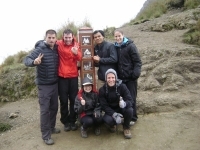 Inca Trail wants you. 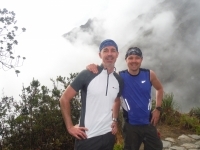 Inca Trail is fantastic !